I don’t often write editorials anymore…I got tired of repeating myself every year, every week. But as Mother’s Day neared, it was too personal not to express what mothers mean in my life. This was an editorial I wrote for my newspaper this past week… *Love* to mothers and daughters everywhere. I don’t often write editorials anymore for my newspaper…I got tired of repeating myself every year, every week. But as Mother’s Day neared, it was too personal not to express what mothers mean in my life. This was an editorial I wrote for my newspaper this past week… *Love* to mothers and daughters everywhere. Motherhood. The word alone seems like a sentence in and of itself. It implies an intricate amount of things, for both mothers, as well as those who have mothers. As I prepared to write about mothers for this week’s edition of the Enterprise, I thought starting out with a definition of motherhood would be the perfect beginning in preparation for Mother’s Day this Sunday. n. 1. the state of being a mother. 2. the qualities or spirit of a mother. 3. mothers collectively. I don’t know about you, but after seeing the above clarification of motherhood, I couldn’t help but feel a little … underwhelmed. Personally, defining and articulating what motherhood means has been a theme of my thoughts for the last year. So, I suppose for Mother’s Day, I can only celebrate what motherhood means to me as a woman, and daughter. In my family, our matriarchal connection is the strongest bond I’ve ever known. My mother is an only child, as well as myself. We both built strong connections with our mothers, and across generations with each other. I was never more proud to go out into public on a shopping excursion or day trip, arm-in-arm with these two women. We often got many comments from people that three generations of women were out enjoying one another’s company (cue the ‘We are Family’ song?). My grandmother, though, was the glue. A woman whose boundless energy and selflessness, thoughtfulness, and positive attitude was like an undeniable gravitational pull, and I fell in love with her more and more each year as I grew into a young woman. 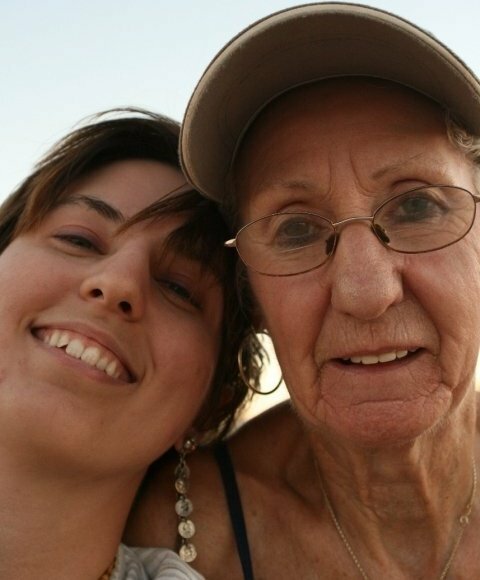 She was my mother’s best friend, and as close to being a second mom to me, as well. Last year, though, I unexpectedly lost the love of my life – my grandmother – during the very early days of spring. It was March 25, during a very important cluster of celebrations in our small family unit: Her death cleft the generational bond three days after her own birthday, a week after mine (both of which we spent in the hospital by her bedside with diminishing hopes of her recovery), and two weeks before my mother’s. This year will mark the second Mother’s Day my mother will mourn the loss of her own. And so, relearning how to live life without that safety net that a mother can be between us and the world, has been a difficult one. And it has made us appreciate the role she had in our lives all that much more. I know for any daughter, a mother is the toll-free, 24-hour hotline we have on speed dial when we need to share our triumphs, and to seek comfort during our tribulations. We benefit from her wisdom, even if we only see that in 20/20 hindsight when we’ve ignored her advice the first time around and made our own mistakes. A mother is always there to help us up when we fall short, and be our cheerleader as we gain momentum. Whether she uses tough love or positive reinforcement, a mother keeps us on the straight and narrow for most of our life. She is allowed to say, ‘I told you so,’ and inevitably will ‘hope your kids are as difficult as you were.’ No doubt the women in my family were always headstrong, and this was said often. She’s the one we help drag into the 21st Century (try teaching a woman in her seventies what an internet browser is, or to check her voicemail on her cell phone). A mother is the one that loves you incredibly, and drives you the most crazy than anyone else in the universe. She’s the one you hug the tightest, and have the loudest fights with. A mother is one you lose patience with the fastest, but forgive the quickest. She’s the one that has always been there, life’s security blanket, and you never expect to lose – even as she starts to have to ask you several times to repeat yourself, her glasses get thicker, her body and mind slower and more frail. You try not to see it. She’s been the flawed prototype you’d based most of your identity on as a growing woman, and the one you’ve been terrified to turn into as you get older. But when the day comes that she’s suddenly not there anymore… there’s no one you’d be more proud to even come close to emulating. And that is how I would describe motherhood. So ladies, celebrate your mothers this weekend: It’s not an easy role to take on. And it’s one they’ve willingly taken on – for life. Previous postCan consumers afford their own demands? err yeah, how full of emotion that is… not.